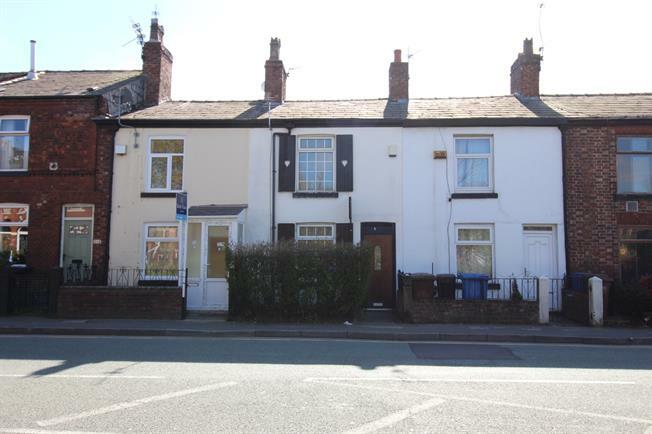 2 Bedroom Terraced House For Sale in Cheadle for Guide Price £150,000. This mid- terrace cottage comes to the market offering good accommodation throughout. On internal inspection, the property has a good standard of decor with a modern feel whilst boasting plenty of charm. The property comprises of: to the ground floor; Lounge, modern fitted kitchen with storage cupboard. To the first floor we have two bedrooms and a family bathroom. Externally the property has an enclosed garden the rear.